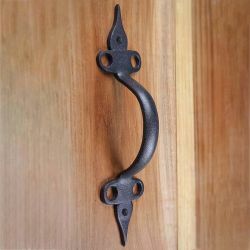 This beautiful Twisted Wrought Iron Gate and Door Pull is handcrafted by our skilled blacksmiths in our New England forge. 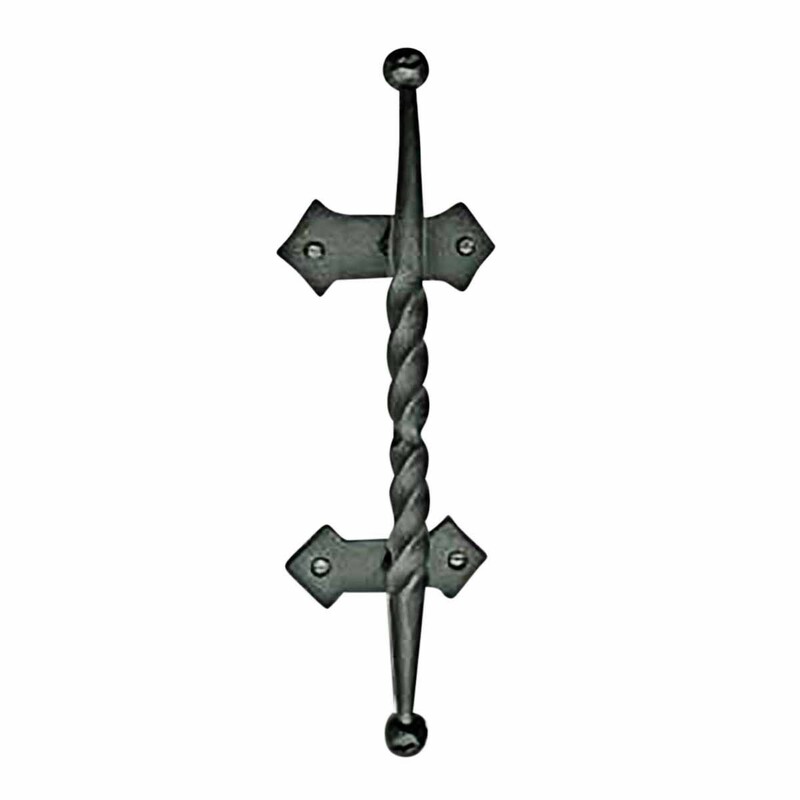 Handcrafted of Wrought Iron and is popular on doors and gates. A nice detail for a modern look or for an Old Colonial or Country charm. Affordably reclaim old gates & doors. Our exclusive coating protects this item for years to come. 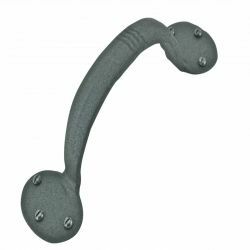 Measures 14 inches in overall height,with a 2-1/2 inch projection. Backplate measures 4-3/4 inches in width. Mounting hardware included.